The oil bears are gaining leverage over the bulls as confidence in the stability of crude prices continues to wane. Oil prices traded above $50 per barrel for most of the first quarter, falling back into the $40s in March, although it quickly rebounded back above $50 in April. 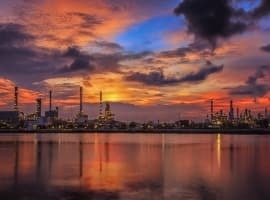 The high level of OPEC compliance has surprised skeptical market analysts who predicted plenty of cheating, so the cuts of 1.2 million barrels per day from OPEC, plus smaller cuts from a slightly less compliant non-OPEC group, have put the market on a course towards balancing, albeit at a painfully slow pace. Global inventories have begun declining even if U.S. stocks are still at exceptionally high levels. An extension of the OPEC deal would put the icing on the cake, taking the market back to normal levels in the second half of the year, as the IEA recently predicted. But the bears are not done yet, becoming more emboldened in recent weeks as WTI and Brent sank back to one-month lows. The rig count continues to climb, adding another 9 rigs in the last week of April, putting the oil rig count just shy of 700, or up 120 percent from its low point a year ago. Aside from just a handful of exceptions, the rig count has grown almost entirely uninterrupted, week after week, for the past 12 months, even during bouts of lower prices. Lower breakeven prices have allowed shale drillers to confidently hike their spending plans even if oil prices fail to rally any further. Predictably, that has led to a sharp resurgence in U.S. oil production. The most recent estimate from the EIA puts total U.S. production at 9.265 million barrels per day, up 700,000 bpd from September 2016. Some of those additions came from long-planned offshore projects that came online in recent months, so it has not come entirely from U.S. shale. But that suggests even stronger production gains could be forthcoming, since the shale industry is only now getting going. 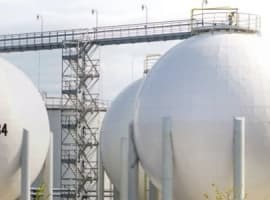 Estimates vary, but by and large, there is a consensus that U.S. shale will add hundreds of thousands of additional barrels per day to the market this year. Then there are unexpected gains from elsewhere around the world. Libya, in particular, is one country to watch. The North African OPEC member’s production has whipsawed up and down by attacks on key export terminals, which have forced the closure of some very large oil fields. Libyan production stood at 700,000 bpd earlier this year, but dropped to just 490,000 bpd over the past month, helping to tighten the global market and push up prices. But output is back up to 700,000 bpd, according to the latest reports, taking away one of the few bullish trends in the market. More ominously, Libya is aiming to ratchet up production to as much as 1.2 mb/d by the end of the year. That goal could prove to be fanciful, but it highlights the fact that Libya could be as much of an upside risk as a downside one. The return of bearishness is borne out by the latest trading trends in the futures market. Hedge funds and other money managers continue to pare back their bets on crude futures, reducing net-long positions for the third week in a row. According to CFTC data, cited by Bloomberg, major investors cut their bullish bets by 21 percent at the end of April. The selloff indicates a belief among oil traders that oil prices had “gone up too much compared to the fundamentals. The shale oil production trend is definitely bullish, which is bearish for prices,” Michael Lynch, president of Strategic Energy & Economic Research, said in a Bloomberg interview. Speculative movements in the futures market don’t dictate everything, but they are good indicators of market sentiment. The recent net-long reduction suggests that investor confidence is on the wane. “You started the year with longs. They’re giving up on the trade to a certain point,” Tariq Zahir, commodity fund manager at Tyche Capital Advisors LLC, told Bloomberg.